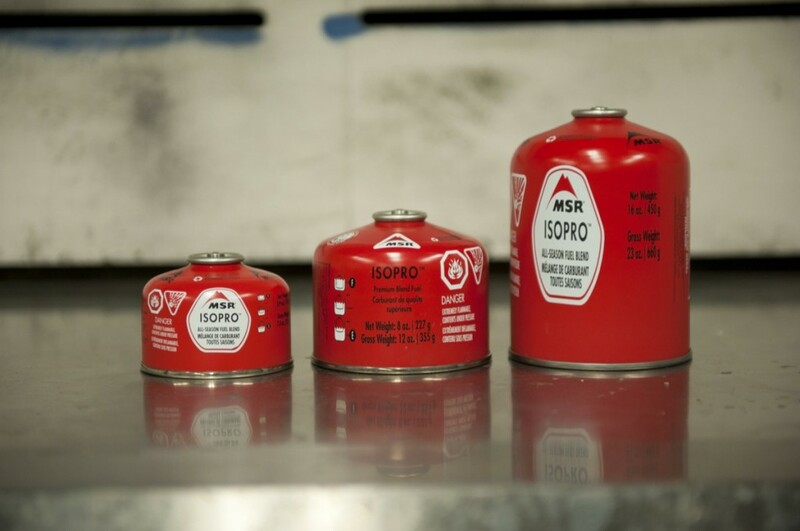 Fuel canisters are made of steel, which is recyclable as mixed metal. 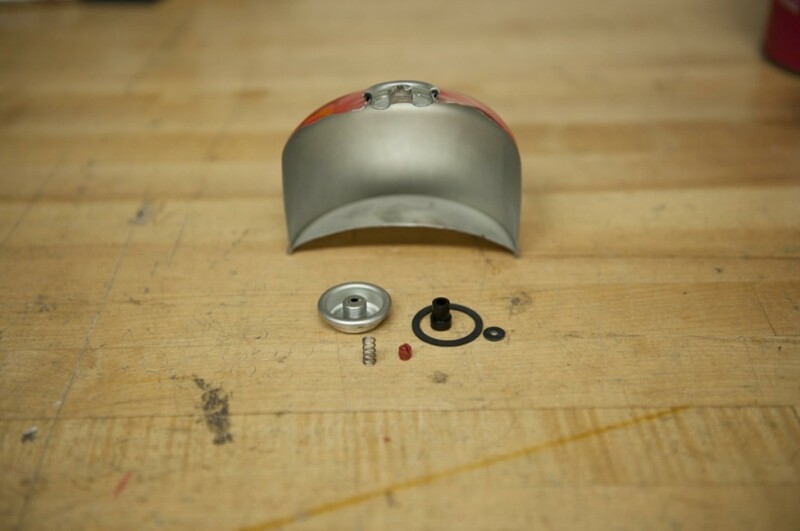 The valve includes parts made of plastic and rubber. 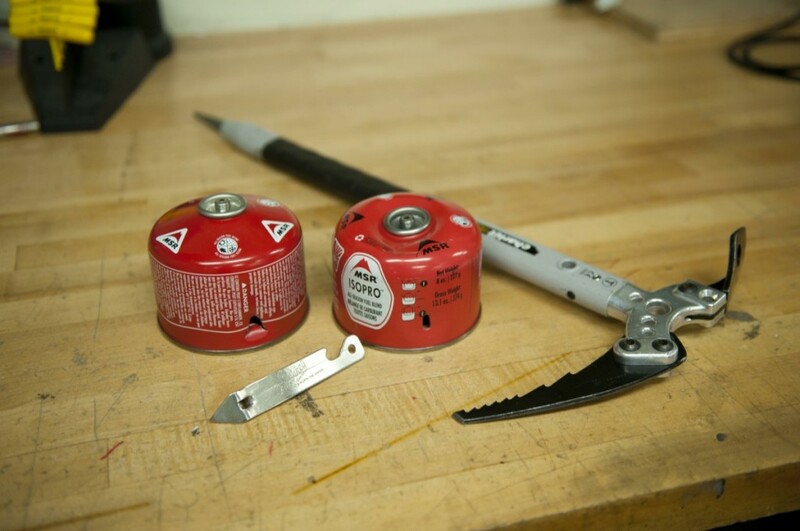 At MSR we get this question all the time: How do you recycle fuel canisters? Make sure the canister is totally empty. You should use all the gas for cooking – it’s better to burn the hydrocarbons than release them. 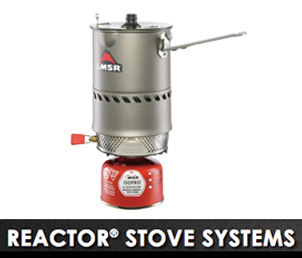 Of all the stoves on the market, the Reactor is probably the best at using the last drop of fuel in the can. Once you’re sure the canister is empty, you need to puncture it so it meets recycling requirements. You don’t need a special tool to do this – just puncture it with a can opener or a sharp object like a screwdriver or an ice axe. Don’t use a saw because it can create sparks that will ignite remaining fuel. You don’t need to remove the valve to meet mixed metal requirements. Here are a couple tools you can use to safely puncture a used (and completely empty!) fuel canister. Screwdrivers also work well. 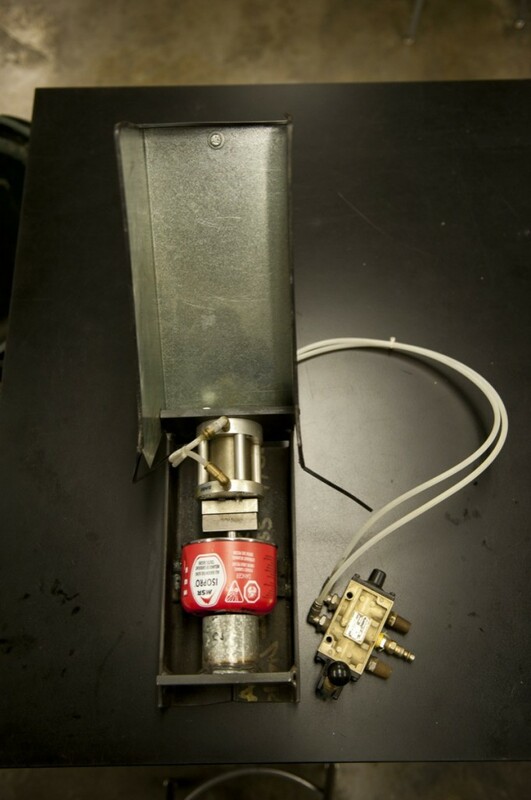 The MSR R&D lab uses this unique machine to puncture and recycle fuel canisters used in stove development projects. 4. Now, deposit your canister where mixed metals are accepted. This last step is the tricky part. Very few curbside recycling programs handle mixed metals, and even fewer recognize and recycle fuel canisters. Check your local recycling program before you put them in the bin. You can always drop them off at a metal recycling center if there’s one in your area, these places almost always handle mixed metals. If you’re not sure what to do, contact your local recycling authority for advice. Remember, just because the canister is picked up by your curbside program doesn’t mean it will be recycled – many recyclable items are thrown away because they aren’t clearly identified. If you have any doubts, we recommend you deliver your canisters directly to a metal recycling center. That’s the best way to make sure your canisters are recycled. Good luck, and happy recycling! The complete line of MSR fuel canisters, including the new 16 oz. size.